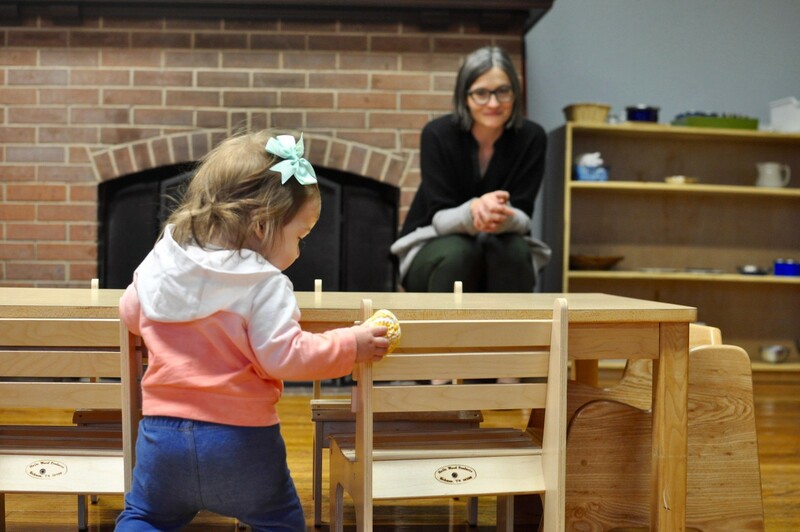 Much of the Montessori philosophy stems from a deep respect for children; from respecting their freedom to choose, to move, to correct their own mistakes, and to work at their own pace, to using real words to describe and categorize things, Montessori Guides and Aides work from a genuine place of respect. 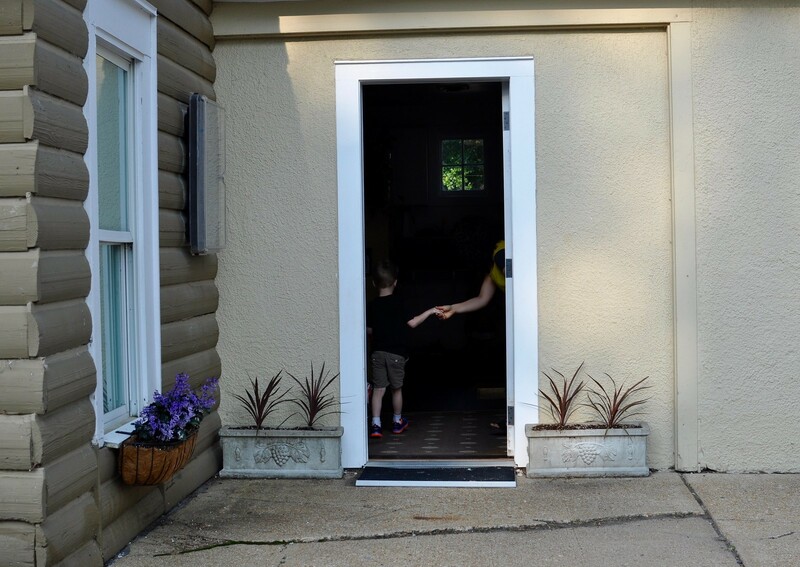 Here’s why it’s important, and 7 ways you can create an atmosphere of respect at home. Oftentimes, adults do not see children as people to be treated with respect and dignity. This can be seen in the way adults sometimes interrupt, talk over, or dismiss something a child has to say. Or perhaps by physically grabbing a child for a hug without asking, or by commenting on the way a child looks or behaves in a public space. Even overlooking a child (for instance, only saying hello to the adults present and not greeting the child) can send the message that you do not see or respect him. 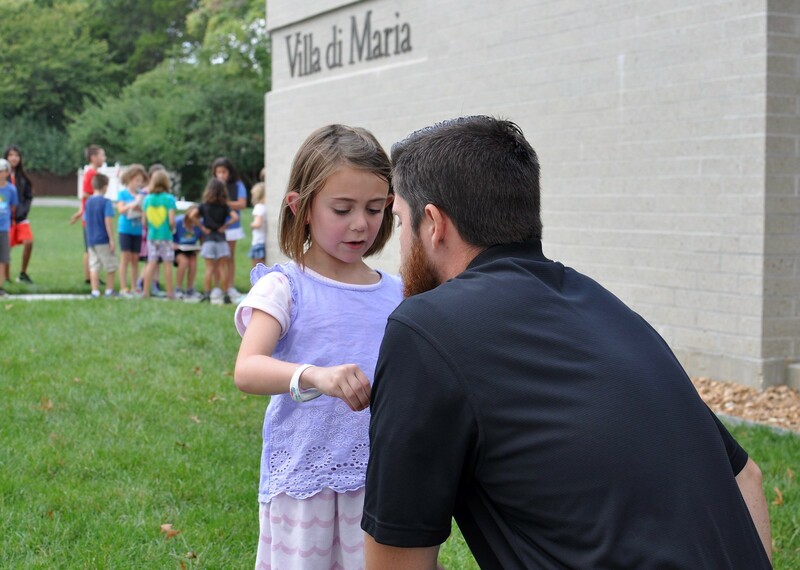 In the Montessori environment, you may notice the way a Guide greets a child at the door every morning: by bending down to eye level, looking into the child’s eyes, and gently shaking her hand while greeting her by name. Guides encourage parents to allow their children to walk into the classroom on their own, carrying their own belongings. This is just the beginning of a morning (or full day) of decisions that lead to a mutual respect between Guide and child. There are plenty of ways you can show your child (and other children with whom you come into contact) respect on a daily basis. Allow your child to make choices about his or her body. Just as we would not invade an adults physical space, nor should we do so with a child. Allow your child to decide whether or not to hug someone; do not force her or make her feel guilty if she does not feel like embracing Grandma at that moment. The message you send your child when you allow him to make choices about his body now can have a huge impact on how he feels about his rights and ability to say no in the future. Use good manners when interacting with children. This may sound silly, but it makes sense! When we model grace and courtesy, we are not only teaching them the proper way to treat all people (great and small), we are also instilling in them a sense of self-respect. Refrain from forcing your child to share. We know, this one is tricky at first glance! But hear us out; instead of forcing your child to share, try to encourage a mindset of giving. Allow your child to choose when to share his or her personal items. Read this for more tips. Respond to mistakes with grace. This means refraining from laughing when your child makes a mistake, or falls down, or puts his pants on backwards, or gets the comb stuck in his hair. It may be funny to us, but to a child, it can be humiliating to be laughed at when he makes a mistake. Allow your child to speak for herself, even if it feels like it’s taking quite a bit of time to get it all out. Use patience and eye contact, and refrain from interrupting or finishing her sentences. When you show your child that what she has to say matters, you show her to use her voice in all kinds of situations. Show your trust in your child by allowing him to do for himself. Dr. Montessori herself once said, “We habitually serve children; and this is not only an act of servility toward them, but it is dangerous, since it tends to suffocate their useful spontaneous activity.” Instead of serving your child and jumping in constantly to help, first try to assume that your child can do it by herself. 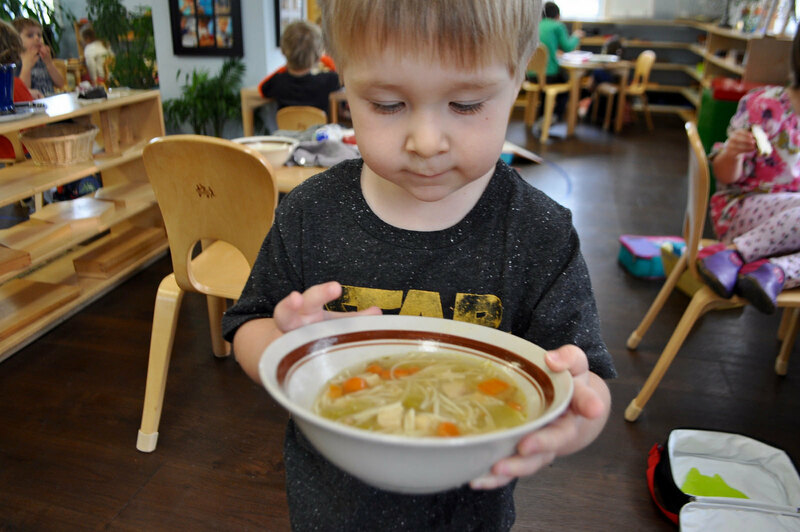 Allowing your child to pour her own milk, to clean up after himself, to get herself dressed, to carry his own bowl of soup to the table for lunch, will empower your child, boost his confidence, and increase his ability to do that particular task; after all, learning is doing. 7. Respect your child’s privacy. Part of showing respect to children is remembering that some things can be embarrassing for them, and that they count on you to keep their private lives… private. For instance, refrain from talking about your child to other adults in front of your child. Showing respect involves being aware of your child’s very real feelings, and doing so will solidify the trust you have built with your child. Trust is an essential part of any relationship between people of all ages, and will continue to grow with time, given that you are honest and reliable.